nice written review. like it better than the video one and it arrived not too late. Im too spoiled by FF sensors but this camera seems quite OK for casual use, holidays etc. i'm not about to give up the a9 for this x-t3, but Fuji gets huge props for delivering real 4kp60. x-t3 really shows what a fail the ff eos-r is, in particular. it's also a big nail in the m4/3 coffin. There is always a Fuji fanboy believing the X-T3 has better (or similar) IQ than full frame cameras. If you owned an A9 you know it does NOT do 4K 60p video. And the T3 is about 1/3rd the price. The good news is with ML, the Canon should soon shoot full sensor readout 4K RAW video. Image quality isn't everything. I'd take X-T3 over A7iii any day. Menus, 4K60. 10bit. Smaller lens. Cheaper. Only thing I wish it had is IBIS. MILC man is right, this is another nail in the Sony coffin. They barely held a 13% market share last year, and now are faced with 3 strong competitors in the one segment where they did well. For the past 3 years they've lost out to Canon APSC mirrorless in their home country!!!! And last year they fell to 3rd in mirrorless camera sales with Canon expanding their lead over Sony. (Oly lead with 26.8% followed by Canon 18.6% - though Canonsays they passed Oly this year). Now they have Fuji making great progress. I don't think M43 is a direct competitor, but if Fuji joins Canon surpassing surpassing Sony in APSC, and Nikon and Canon catch Sony in FF mirrorless, Sony is in major trouble. Canon and Nikon have it made. They have DSLRs to their own (sorry Pentax) and DSLRs will remain 50% of ILCs for a few years. Mirrorless is getting crowded and Canon has proven they can dominate with out really trying. I came from FF and bah humbug. Casual use? Get over FF arrogance already--the 2% of to time that IQ strengths of FF best a camera this well rounded is not a complete substitute for how enjoyable significant strengths are 100% of the time for both casual and serious use. If you can't do professional works with XT3 then it's more of you being amateur than the camera. @ZeBebito : "If image quality wasn't my top priority...."
Fujifilm second hand cameras do not keep a high value compared to other cameras. Therefore it is a much cheaper investment to make to get into X-system, when you don't mind to buy used equipment. I have much more trust in used Fujifilm gear, than in used Sony gear. Sony cameras depreciate fast too. I bought an MSRP $3400 Sony new for $2400 less than a year after its release. At the time a used A6500 was considerably less than a used GH5 or used EM1/2. Well deserved! Great camera, apart from IBIS what can someone who wants APS-c ask for? Fuji shows it knows very well what customer want and just gives them that and shows APS-c can be a very good alternative to FF. "Well deserved! Great camera, apart from IBIS what can someone who wants APS-c ask for?" Lower noise at high iso would be nice. APS-C is no substitute for full frame. I have an X-H1, an A6300 and a 5D Mark III to prove it after an entire summer shooting almost exclusively APS-C. Even my 5D offers much better image quality than the X-H1 or A6300, particularly at ISO 1600 and up. APS-C image quality hasn't really improved since the NEX 5T (yes, I owned one and shot it as my carry camera for four years with the excellent FE 35mm f/2.8 Sonnar). I'm giving up shooting APS-C in earnest after shooting sports for a month on all my cameras. Full frame results are in another category. You'll be able to pick out the X-H1 pictures here without any trouble (after Iridient Developer to coax everything possible out of the RAF files). And that's at only ISO 1600 and 3200 (not 6400 and 12800). Fuji gets rid of the chroma noise by almost completely desaturating the file (with jpegs they cleverly add some colour back in but heavy electronic processing kills detail). I agree. 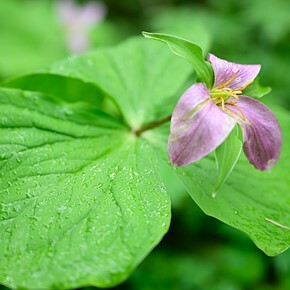 I am sure the Fuji is a great APS-C camera. But I also have given up shooting APS-C since getting the A7III. Full frame results are in another category in more than sports. I rented an A7RIII as a backup body this past week, and while I clearly see the difference in a cropped 42mp and a 24mp sensor image, you really need to crop tight routinely to compensate for the slower performance. LOL, the A7iii overheats and has numerous other issues. It is not even weather sealed. And who wants to pay $2400 for the 70-200mm zoom. Oh, you use the F4 version? Then most APSC cameras are getting better IQ than you, LOL!!!! Oskar, I agree with you about the price of Sony long/exotic glass (short primes are fairly priced). 1. no need to go mirrorless for sports/action/low ISO IQ. Canon and Nikon still make DSLRs which mount affordable and fabulous telephoto lenses for a wide variety of budgets and IQ needs. 2. no need to give up your Fuji as a carry daylight camera or a video camera or a manual lenses body (the zoom in and out is brilliant with Fuji). Just don't try to shoot a Fuji in low light where you need both high IQ AND colour (in BW Fuji X holds up in low light, the issue is missing colour information and noise both of which are much smaller issues with BW). If anyone else is shooting full frame Nikon or Canon (or Sony I guess) colour photos of the same event, those photos will be much better. I tried to go Fuji X full time as I've had it up to my chin with Canon crippling video in all cameras after the 5D III and making handling . When I made my psychological peace - ignore all video functions on Canon cameras, pretend they don't exist - it became much easier to enjoy the great action photo ergonomics and image quality Canon full frame offers. I'm not pro Canon: if I were a Nikon shooter I'd stay one. I don't like Sony ergonomics except on the old NEX series (I'm a weirdo that way - I prefer the Fuji X-M1 ergonomics to the X-TX or X-H1 - simpler and to the point: I also like my carry cameras compact, very light and sturdy). Good jpeg photos but raw are not so good. Amazing 4k video. If I shoot video I'd prefer that camera. Not for portraits. With raw...you can make it as good or as bad as you like!! There are plenty of pros out there shooting portraits with Fujifilm. Perhaps you should take off the blinders. Seriously? @herrMartin - Agree. A lot of magazine inserts and covers are being done with film. Another confirmation that it is the photographer not the equipment. David Boubilet recently did a cover for Conde Naste Traveler magazine with Velvia 50. He sometimes shoots with, (of all things, a Contax T2. well... what a professional photographer is always aware is the destination of its files and the conditions of the shootings. If you shoot for a magazine, web, or other relative small prints APSC and even M43 (especially if you can shoot up to ISO 1600) gives you *enough* quality. And even if you have a MF camera at home, you just don't use it for that job. 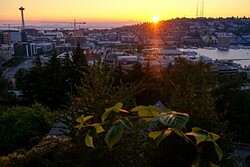 But that doesn't mean that in the same conditions the larger sensor camera would not have produced a better RAW file. But if you print in a magazine who cares that you edited a 100MPx image? Ideal for portrait would be Large Format. Majority shooters don't do only portraits. @ozy92, @badi - A lot of portraits are now being done in studio with Canon 50S(R) and larger, because of wide tonal range due to many mpix. Agree, badi. The same magazine I mention above has the cover and an inside article shot with the Pizel 3. SO because you say he is a "paid ambassador" that means all the portraits he takes with his Fuji cameras don't exist? The bottom line is that Kanarek has shot magazine covers for Vogue using a Fujifilm APS-C camera. I will clarify myself. 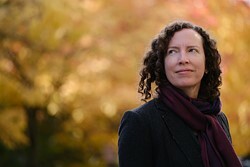 Vogue magazine covers have been shot with an APS-C sensor. However, I frequently hear the FF fanboys blabbering about how APS-C isn't for pro work. Shooting a Vogue magazine for Vogue certainly is pro work. That depends if you plan to shoot videos, there Xt3 would suite you well or you are after better IQ (image quality) where full frame sensor of D750 will clearly give you advantage. Stay with 7100. You can't see any improvement. Go D750 if you care about image quality at medium or high ISO. Here's a mixed gallery of 5D, 5DIII and X-H1 from this weekend. Cloudy day but I wanted very high shutter speeds to stop motion so most shots at 1600 to 3200 ISO. The X-H1 sticks out like a sore thumb, even with my best attempts to pull its RAW files up to scratch in Iridient Developer. This was last my attempt to shoot sports on an APS-C (Sony A6300 is no better in terms of high ISO IQ). Mirror fell out on the 5D (a pity as it was killing it with my old EF 80-200mm f/2.8) so a 6D and a 5DS R are on their way now to replace the X-H1 and the 5D (I want microfocus adjustment as my only telephoto which is accurate on the 5D is the 80-200mm which was calibrated to the body). APS-C should be reserved for daylight birding and travel cameras for most people. The Fuji cameras are great video machines though and wonderful carry cameras. I say, go to D750 for better IQ of the FF. If you're getting into APS-C for the first time, and shoot a good amount of video that requires 4K 60fps, then this is a good choice. If video is important to you as well as portability, the Fuji would be great, though personally I'd wait and pick up a Nikon Z6. 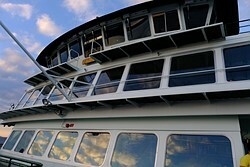 Even so, I have numerous friends who use Fuji XT gear and they are all very positive about the system. If you want better IQ and a flippy screen, go D750, because that's all you're really getting. I went that route and wasn't impressed at all. Pretty much the last straw for me and Nikon. Went mirrorless and never needed to look back. The X-T3 certainly seems like more than enough camera for anyone using a D7100 or D750. The real question is. Do you want mirrorless and all the advantages that come with it. If so. The Xt3 is a great choice. Especially since AF is no longer an issue. I have a D7200 next to my Xt3 and I'm seriously considering selling it to buy more fuji glass. If you also do video, and have used eye detect AF, it's almost a no brainer. Tack sharp eyes with this much ease is just wonderful. hummm I guess the choice is obvious. I don't do video AT ALL. I mostly shoot street and documentary, architecture and some weddings. 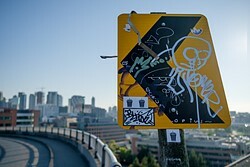 Would not consider myself a pro but I make some money on the side with my photography, hence the reason I'm upgrading. So far, the D750 seems to be a winner. For full day of filming (8 hours) you need about 6 extra batteries. 2. 1.29x sensor crop for video. Even 1080p at 120 fps! You can power the camera over usb while using it, given that not all power banks allow that. Did you read the review? 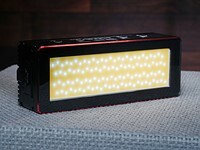 There is no crop for majority of the video modes, the camera uses the full width of the sensor. For some video modes where the data readout is extreme there is a modest 1.18x crop. 1.29x only on 120fps ..like stated in the review. For extreme long clips the camera can be powered by USB, a power bank through USB or by 3 batteries by using the battery grip. If you are filming non-stop for 8 hours/day, battery life is the least of your concern. Where are you doing to store and edit all that footage? And who is going to do all the editing? I feel that you have very demanding video need and it is unrealistic to expect a sub $2000 do-it all camera to do it well with a couple of batteries. You probably need more equipment than that. X-T3 has no crop at 4K@30p and only 1.18x crop at 4K@60p. Only the 120 fps mode has the crop you mention. Johans81 that's not what the OP claimed, read their claim again. I am in total agreement with the review. I have used Fujifilm for ELLE magazine and results have been outstanding. 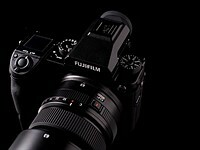 Keep up the great work Fujifilm! Have they not changed the Fuji X shooter program so you can only use Fuji now ? Are you still using Nikon for majority of your work Ben ? I would say that the use of my Nikon and Fujifilm systems are close to evenly split. When I want anything longer than 90mm, I go with Nikon in general, as I have the DC 135, 180 and 300 mm leses which I have grown very close to over the last few years. Great videos always been a fan of your work and the interview you did with Ken Wheeler was awesome. Kudos to fujifilm. Nice camera with the goodies of fujifilm jpeg. 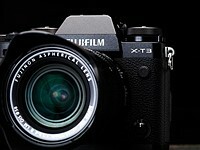 Though I hope that fujifilm uses the XT1 body for all XT models .this xt3 shape is not handsome enough like xt1 and xt2. I don't know why, but I still prefer my old X-E1 to all the newer models. Me too -- I don't do video, and rarely use continuous focus, so the upgrade is not worth the price for me. It is a great camera, though. But so is the one I already have. I have an X-M1 and just love it. I respect and admire my X-H1 for its power and flexibility but love the straightforward simplicity of the X-M1, its small size and its very decent image quality. Then the camera isn’t for you. Same as I, love my X-E2 and use legacy manual lenses with a speedbooster, so AF is not really relevant. But I get the full frame equivalent depth of field and field of view, plus an extra stop of light with both my Zuiko lenses. The only advantage I can see to getting the X-T3 is for video work, if the dynamic range can equal the C200 I use at work. Three cameras from three different formats will compete for the best camera of 2018. X-T3 will probably triumph as the most balanced and cheapest option. Well we might have difference balanced point. To me FF is the best balance of IQ and weight/size/cost/option... Compared to A7 III? just like comparing apple to orange. It depends on what your needs are. Lenses are of similar size and weight for the same depth of field but you need to double your ISO for the same shutter speed loosing most of the advantage you got with the larger sensor. 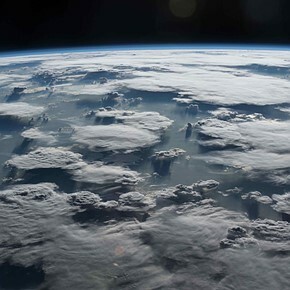 There simply is no free lunch, no perfect balance for all. Generally speaking higher shutter speed will result in sharper images and for many that's more valuable than the thinner dof. So it's easy to see why APS-C and M43 are popular for travel. I wish you had noted as negative, that Fuji is a little lacking on saving and retrieving custom settings, and storing various settings depending on mode. When I, for instance, have focus switch on C and focus mode in Zone, switching Focus to S and setting Single Point, will reset the focus mode on C to Single point as well. (unless these have been fixed with X-T3, but there was no mention that Fuji has done so). So even though I have a tactile focus switch, I still need to go to the menu to set the mode, which is an annoyance. Others have said that same is true switching between Photo and Video - I don't do video so cannot say anything about that. An annoyance, but not a deal breaker, I only wish you had mentioned it, because I am sure Fujippl read your reviews. Good comment. There should be a menu option that allows users to choose whether or not different focus mode settings should be retained for the different AF modes. And I completely agree that the custom settings should include *all* settings, not just the limited subset that is primarily useful to JPG shooters and, perhaps, video shooters. The problem is the dedicated wheels and switches (iso, exposure comp, af and especially speed/aperture), which if could be overridden with custom setting would arguably generate some confusion. @Causio You're right that the X-Series doesn't have a way to offer C1, C2, C3 functionality the way other bodies do. Yes, you could jury rig it by using the A position on every dial to be something other than auto but that's not what I'm talking about. I'm talking about every setting that isn't controlled by a marked dial or switch. Self-timer, for example, or whether back button focus uses AF-S or AF-C, night vision mode. Anything that is selectable in the menus should be able to be stored as part of a custom preset. 1. E mount has many more native lenses as pure count of lenses like more than 2 times more models. Consider Zeiss, Samyang, Tamron and Sigma native lenses that simply don't exist for Fuji. These count on top of the splendid Sony lens line up. 2. E mount is friendly to adapting 3 party lenses and so it is easier to use non-native lenses should it come to that. True. Let's see if Sony can release a7000 by the end of this year that has 4K60, IBIS, and a lighter 2.8 zoom. Maybe. But Fuji has a much more complete native lens setup. Most people (99%) don't adapt lenses. @Relaxed For now A6xxx series is more of a backup body to FF users. But Sigma has some cheap and sharp primes like 16, 30, 56 that costs more on Fuji side. Relaxed that assertion is simply false. Total Af lenses avaiallbel to E mount user is 46 + 5 + 6 + 1 + 5 + 2 + 3 = 68 !!!! Sony offer 40 A mount lens types today all these work on A6500. So we are at a 100 models supported by Sony! Not all E lenses are of Fuji quality, and the full frames aren’t native size, are they? Granted, there are no sigmas for Fuji- but I’m not sure they’re necessary.. These of very comparable systems, but the APS Sony line is lacking. Not a surprise given Sony is focused on full frame. Btw, I’m a Sony (A9, RX10, RX100) and Fuj(XT, XE, X70) owner. Fuji is designing high quality APS-C lenses. Sony's high-end lenses are all designed for FF with size, weight and price that reflect this. Their APS-C lenses are kind of "meh". I don't pay much attention to the third-party glass. Roger Cicala (owner of LensRentals), who has more experience than any of us, has suggested that their reliability isn't at the same level as OEM lenses. I disagree. Fuji has more lenses. 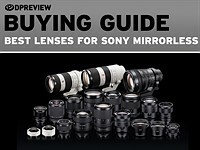 There are basically very few aps-c sony lenses, and the others you mention are third-party lenses, with a third-party experience. I do wish Fuji had some of the sigma lenses, but I don't count these as e-mount lenses since they're also available on micro four thirds and may someday(?) be available on fuji. That's got changed somewhere in the editing process. It originally read "We suspect many photographers will find Fujifilm's range of lenses more attractive, too." It's not about number, it's about which lenses exist and how much they cost. It'll be up to each individual to consider their shooting needs and work out which system looks more attractive to them. I've changed the phrasing, though. It should never have said Fujifilm had more lenses. Almost as many mechanical adapters and Lens Tubo adapters exist for Fuji X as Sony E (I should know I own about seven of them). Fringer adapter performs slightly better with EF lenses on Fuji X-H1 than Sigma MC-11 with EF lenses on Sony A6300. I agree with Roger’s formulation. Attractiveness I suppose is hard to judge and subjective to some degree. I would change the system for 24 and 35mm f/1.4 full frame equivalents that Fuji will never have. I agree that the x-t3 camera is great. Some people as is evident from this discussion may find the severely limited lens choice sufficient for their goals. It is a matter of personal choice after all. 1. Zeiss Touit and the Samyang lenses are all available for the Fuji X mount. All of the Chinese brand lenses are for both systems, Meike, Laowa and more. Sigma and Tamron are just adding a piece of pipe to the back of lenses designed many years ago for DSLR. Just take look at the Sigma 30/1.4 and compare it to the Fuji 35/1.4. The size difference is laughable. It's not on offer for Fuji because it would be extremely hard to sell. 2. There is not a lens you can adapt to the Sony a6500 that you cannot also adapt on Fuji X unless it's Sony's own. And if you're thinking auto focusing EOS lenses you can also get Fuji adapters with full electronic function and I think a Nikon one is just around the corner. I however think adapting lenses to the FF Sony bodies makes a lot more sense than doing so on the crop bodies. @Hauxon2 1. I agree third party takes the easy way to cut down the cost but it works for consumers wanting cheap glass. The size difference between those two lenses is just 1.9cm and 60g. The new Sigma 56 however is lighter and cheaper than Fuji's (due to the 1/2 difference). 2. MC11 adapters (quite cheap) can reliably retains most AF functions of EF Sigma lenses including eye AF and continuous tracking in still and video. We don't know much about Fringer adapters yet. Not so much native APS-C lenses though, and mounting big hulking FF glass on a crop body is a huge drag, financial drain, and reduces resolution. Not so good for: "Sports shooting at the highest levels." There will no doubt be plenty of sports and wildlife shot with the X-T3 and by some pros. Not sure what "highest levels" means. Also, a friend and I tested his D500 against my X-T3 and the X-T3 wins in the AF and AF tracking department. The difference is noticeable and the keeper rate is higher on the X-T3 when burst shooting. Yeah, we had it the other way around. T3 had quite some trouble with counter light situations. AF of the Nikon is much easier to handle and worked better in lower light. Fuji needs more configuration. And of course the Nikon was much better to handle larger Tele lenses. T3 did a good job though against the best in class. 1) the 1.29x or whatever crop that it has at the highest fps rates. use the a9 and it'll all become much clearer... sony fe lenses are rated at 15-20fps, with constant af-c, and the lenses really deliver that on the a9... even the mc-11 and supported sigma glass will have constant af-c at 13-15fps on some lenses... no Nikon camera do that, either. regardless, the x-t3 looks like a huge step up for Fuji, and it's really boxed sony into a crop corner; the new a7000 will need to finally give us 4kp60, and real advanced fps rates. the advantage for sony there, tho, is the xlnt stable of 15-20fps capable fe lenses, that neither Fuji nor Nikon nor any other camera company on the planet has anything comparable to. Fast sports ask for high ISO levels (up to 12800 for night shooting and ISO 3200 for cloudy days). Fuji X (and other APS-C) look dreadful past ISO 1600 in comparison to full frame. Here's a mixed set of soccer with Fuji X-H1, Canon 5D and Canon 5D III. 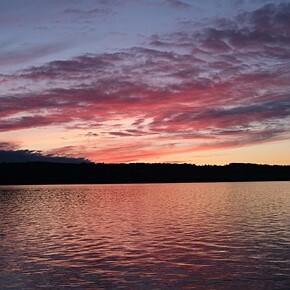 It's easy to pick out the Fuji shots right away. When I shot on a sunny day with maximum ISO 1600, the X-H1 was more competitive. In that session, it's hard to pick out the X-H1 shots (in the top right there's a link to download the photos with full EXIF if you're curious). But I'm not willing to deal with the low shutter speeds an ISO 1600 ceiling would impose. I've never had any issues shooting high ISO sports with Fujifilm cameras, including ISO 8000 and 10000. @UncoyDP, it’s obvious you have zero hands on experience with Fuji camera’s. Since Tony Northrup YouTube review was linked above it should be noted that he says that there actually are some lenses that will achieve 20 fps with the a9, notable the $12,000 400/2.8 super-tele. All of the a9 still frames shown in the video are using this lens. It's $16,000 for body and lens. Even if the ($6000) XF 200/2 was used for a more fair fight it would still be kind of ridiculous. Compare with Canon full frame. The first shot in that Facebook post linked above I believe is a Canon 5D from ten years ago shot at ISO 3200 (not at my main computer so I don't have ISO information). @ikaika777 I linked events shot with both Canon full frame previous generation (5D Mark III) and the current generation X-H1. The X-H1 is a lot of fun to shoot with. One can coax good images out of it at low ISO. For a black and white shooter, Fuji can be competitive or even outdo Canon full frame. But for colour images at mid to high ISO, Fuji's APS-C sensors cannot compete. For mid-to-high ISO examples please see above Facebook link - the colourful detailed photos are the Canon 5D and 5DIII photos and the other photos are the X-H1. All shot at either ISO 1600 or 3200 (no crazy 6400 or 8000 or 10000 here: tip ISO 10000 is the last ISO point at which the Fuji X-Trans III or IV image can still be made presentable in colour - I did night action tests the night before this shoot). @Hauxon2 - "All of the a9 still frames shown in the video are using this lens. It's $16,000 for body and lens." you sound a bit confused about sony, despite reading what I posted. and another 26 fe lenses that will do 15fps with continuous af-c.
as i stated earlier, Fuji has nothing comparable to that, and neither does any other camera company... sony was thinking of the future, with those lens designs that can do 15-20fps with continuous af-c, it was a conscious design goal. Fuji, canikon, etc., are all laboring against old lens designs, many of which can't provide a high fps rate. that's a nice action set, shot in difficult circumstances. "Not sure what "highest levels" means. " Don't forget that Fujifilm has a history of releasing frequent firmware updates for their cameras to improve performance and add features. No doubt, the X-T3 will only get better! And I will wait for it. Cheaper camera with more refined features if you wait for it. This is exactly why you should wait for Fujifilm to iron out the features before buying. Kaizen!! Not sure why the Olympus E-M1 Mk-2 is not even mentioned as competition yet it got a gold award. Its maybe a bit behind right now but not that far and has better build quality and great ergonomics and a very good sense system behind it. The fuji is a great cameras all the same! - as is the D500. It seems with dpreview if you haven't released the camera recently you are forgotten. The Only is certainly a better photographers cameras the the Panasonics. 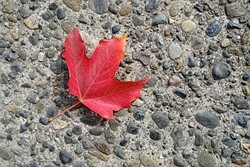 Yes the Oly EM1 Mk2 is an excellent camera. I know someone who dropped hers in a river, completely submerged. After fishing it out the camera still worked perfectly! Not many cameras (pro Nikons and Canons included) would be capable of surviving that ordeal. My only real criticisms of the Oly are that it very fiddly to operate if you have large hands, and the menu system is a complete mess. It has a smaller sensor than APS cameras like the D500 and XT3, but the results are adequate for most users. Well you are absolutistic here. 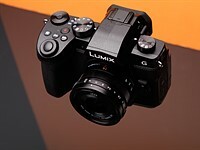 I have the EM1.2 and the handling, the menusystem etc is far worse than my Panasonic GH4. My GH4 never gets in my way, the EM1.2 does. Just to show how personal this is. Other than that the Oly definately should be mentioned here. It is very close to this Fuji in each and every way with the excepton of IBIS (hugely in favour of Oly) and AF in video (Fuji demolishes Oly here). can it survove as a casual system people only willing to paid $500-600? look at yi m1 price, can still have profit for $500-600? @etoman I have no issues with menus or shooting with the EM1.2. I am coming from other Olympus tho. Its way better than old generations. The EM1.2 menus are so fast and snappy. It fast to operate and shot. Dedicated custom setting presets. Too many features and ecosystem advanages over most mirrorless! @Jefftan What are you talking about? the YiM1 is slow to operate. Slow moving grandmothers are a blur. Shutterlag. You assume way to much on image quality as well. Sorry for your confidence. I am shoting models, breath taking landscapes, and star at night. It took Fuji 2 years after EM1.2 to come up with that almost great AF again. My confidence is fine. Glad they got something going. But it another pony show because they have medium fortmat now. bluevaping - I'm glad to hear that you have no issues with Oly menus, but I'd say you were definitely in the minority. Menu systems, in common with other aspects of ergonomics, are to some degree a matter of personal preference, and yes, almost anything can become easier to use with familiarity. But, compared to a Canon or Nikon DSLR, or even to a Sony, the menu of Oly EM-1 Mkii is poorly laid out, difficult to read and slow to adjust. I've used EM-1 Mkii several times and certainly it has a great specification and feels comfy to hold, but changing settings via what I find to be fiddly controls and terrible menus is something that doesn't come easily to me. 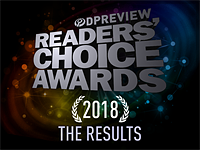 I was certain the X-T3 would receive the Gold Award label, but I thought DPR would rate the X-T3 above 90%. However, 88% is a very high and fair rating. No doubt, the X-T3 is the best "all-round" hybrid still/video camera ever manufactured. Great job Fujifilm! It's a limitation of our (and any) point-in-time scoring system that a camera that performs very well in one respect, sets the height of the bar that subsequent cameras have to reach, and yet aren't then held to the high bar set by newer cameras. As such, the D500's excellent AF performance makes it difficult for anything else to get a 90% but the D500 isn't scored based on the higher expectations we now have for video, for instance. Our planned next-gen scoring system will resolve this problem. 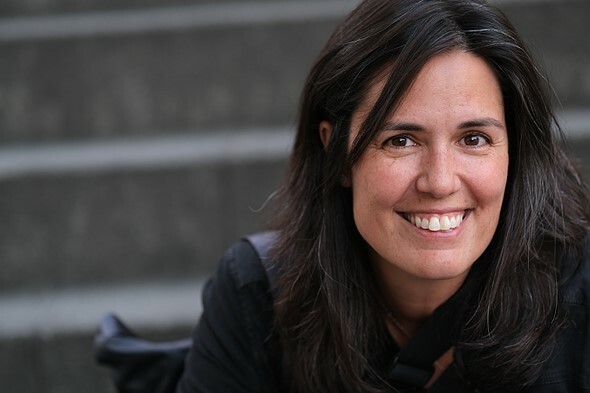 What should be clear is that the X-T3 is very, very good. No IBIS and not a D500 killer per AF-C tracking just cannot score X-T3 at 90% or more :-) Hope that spot will leave to rumored A7000, a true ML D500 killer - BSI stacked-sensor (26 or more mp), even better AF than A7 III and A9, Z battery, no blackout EVF, 20fps and similar 230-RAW buffer, of course IBIS and improved DR and high ISO, at least 4K/30p (personally video is not my top priority with that camera). So FE 100-400 GM will become FF eq 150-600mm FL as 400mm on A9 is not long enough while A9 doesn't have sufficient pixel density if cropping out. I don't really understand why anyone gets so worried about camera "scores" and awards. A camera is a very personal thing, so one that scores more highly might not necessarily be the best for any particular person or usage. Far better IMHO to ignore the scores and awards, and just make an assessment based on the detailed text of the review. Even then, it's very unwise to order a camera purely on the basis of a review. Cameras really need to be handled before purchase, as models that seem perfect for some photographers will turn out to be fiddly or awkward to use for others. you can keep on waiting but the thing is these companies are bound to leapfrog each other. don't base your system decision on a single body, whether it is an existing one or a rumoured one. I think the best hybrid is the G9 or the Gh5. The IQ on both is very good in every way and they both have excellent IBIS which is where the Xt3 is lacking. But the XT3 is one heck of a cam for sure. Very well said. At this level, there are subtle differences. With all the new releases, I considered every system. The XT-3 is an excellent camera. It offers a lens weight and lens price advantage over FF. It was a very close second for me. It came down to how it felt in my hand and that I am much less a video person and a bit more of a handheld action shooter. Nice to see a fine performing portable camera system. Slightly smaller cameras with bigger lens mounts to accommodate even bigger lenses is one approach, but Fuji offers a really nice alternative. "Sony a7 III which, for a few hundred dollars more..."
A very parochial comment. Here in Europe the Sony is a whopping $700 more expensive. I can consider buying the Fuji with the kit lens, but the A7iii remains far out of my budget, particularly with any decent native lens attached. Sorry about that. I'll amend the text. It's around 33% more expensive for the a7 III body in the US at present but I'd not recognised that it's nearly 50% more expensive than the Fujifilm in Europe. It's even more, Richard. Into Germany, the Body (not from some mysterious amazon 3rd party Seller) costs 2290-2299 EUR, the A7 III, whileas the X-T3 costs 1499 EUR - so it is some whopping 800 EUR, which means ~917 $ more expensive, the Sony A7 III vs the X-T3 Fujifilm. That's a hell lot more. Like with 55 1.8 or 85 1.8? On the wide end you get all the Voigtländers and Zeiss lenses for Sony with optical qualities I am severely missing with my Fuji. Manual lenses, but that does not matter much @ 10/12/15/18/21. Real trouble for me is to find the ibis in the T3 for all my primes. Still, it is a great option. But with a growing number of alternatives, decision is getting harder. to be honest if $700 means the difference between affordable vs not, a new ILC body might not be for you. buy used. 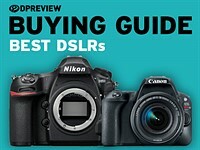 In the US if you get the body+kit lens the difference is only $300. Only US$450 more to get the A7iii where I am. 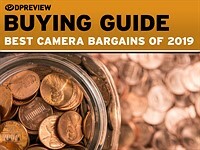 Just over 25% higher price for a full frame camera. What’s going on in Europe? as others said, the A7 III costs 800€ more here in Europe. And that‘s just the start. 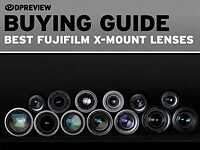 Fuji had some nice combined deals on lenses and the grip as well. Camera + grip was 1700€ when the camera was released and ghere where up to 300€ cashback on lenses. no IBIS is only a minor drawback here, but Armageddon for the EOS R. please explain? Where have we said it's a bit problem for the EOS R? I suppose because Fuji offers a camera with IBIS for those that want it, but Canon does not? I think lack of IBIS is a pretty significant drawback in both cases, personally, but that's because I only have one camera body, so it needs to be versatile. Maybe one is $1500 and the other is $2400. 🤷 But we'll just stick to Canon fanboys narrative, DPR is Bias!!. I would imagine that the Fuji being nearly 1k dollars cheaper than the Canon has something to do with it. It still does not have Ibis which is a pity with all the nice Fuji primes. X-h1 is a last generation camera, especially in respect to AF and it is bulky. Lack of ibis is only significant for the techy types who can't get buy without every feature. Impressive camera at a great price. If Olympus does not come up with an OMD EM-5 Mark III at a similar price point, I will likely switch over. 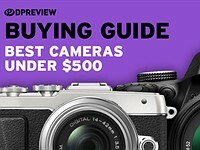 I'd hope an EM5 iii is cheaper than $1500! The dynamic range test would be more useful if it would show that Iso 160 protects more highlights than other Fujifilm cameras with base Iso 200. "Ultimately the 1/3EV lower base ISO gives the X-T3 1/3EV extra dynamic range, since it can be given more light, which in turn slightly reduces the contribution of shot noise." My impression is that downstream noise is more relevant than shot noise for high dynamic range scenes. It's mostly the downstream noise that makes base Iso shadows unusable. My Canon 350d has so much downstream noise that it's not worth shooting at base Iso. Can you expand on this thought? Why would lower ISO yield higher noise with this sensor? My understanding is that there's less amplification, lower shot noise, and read noise is the same at any ISO. What am I missing? There is read noise that gets amplified when you choose a higher Iso. But there is also read noise that doesn't get amplified when you choose a higher Iso, that's downstream noise, so the downstream noise isn't important at high Isos. First of all thank you very much for that great review. However I am getting a bit confused: in the video you state that it can track moving subjects/people quite well. But in the written part you would not recommend it for running kids. It's pretty good at tracking people (in general) but it's not quite responsive enough for running kids. So they've already run towards or past you by the time it's worked out that there's a face to be tracked. Thanks for the reply - highly appreciate the direct comment. That was my takeaway from the review video at around 8:40 - the AF test with the biker. So do I understand correctly: if I would use face detection it would not get the kid. But with the right settings - not relying on face detection - this could be overcome? Good to know that it is not good enough for running kids as I am in the market for one. Still not sure if i should get 5DIV or a7iii though. @Richard Butler how would it work with normal tracking (no face detection) and kids? 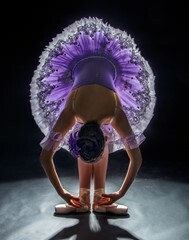 Do you think it does better than a 5D mk III? Selling my nikon gear, Xt-3 will be my next camera. I'm torn about this system. Clearly Fuji has a good thing going with this X-Trans sensor; it's a triple threat of great stills, great video, and great on-sensor AF. However, I don't know if Fuji will play games with their lesser models, if they will ever put this exact sensor in a truly lightweight, affordable model, which is what I'm actually interested in as a nightscape / astro-landscape photographer. In the past, Fuji has sometimes left the cheaper models to "make-do" with a lesser sensor that doesn't even have X-Trans tech, or not as good AF, or worse high ISO noise. 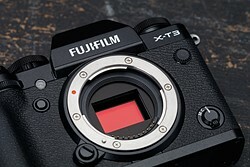 I have seen a shift with at least one of the slightly lighter, more affordable bodies, however, so maybe we can expect the X-T3 sensor to show up in the next-down class of camera, if not the ultra-basic beginner camera, which understandably might not be able to receive a flagship sensor. well, the X-T20 was not very far from X-T2. Of course you'd lose weather resistance, some fps and maybe AF performance but IQ was the same, in my experience. I think one of the biggest question is when and whether IBIS will ever filter down from the XH1... I would've thought that would start to happen with the X-T3 but apparently not. The lack of X-Trans tech doesn't make the sensors "lesser." The real issue is simply that their lower end cameras that happen to have Bayer sensors (X-A5 and X-T100) use outdated processors, meaning they can't handle the data required for modern AF or video capabilities. Otherwise, though, Fuji has been pretty good about filtering their higher-end sensors into their less expensive cameras. The X-T20's image quality is just as good as the X-T2, X-Pro2 or X-H1. Since that line has performed so well for Fuji, I imagine that eventually there will be an X-T30 as well. Really, an X-T200 with a better processor and Bayer sensor at a lower price point would be even better, but Fuji likes to create the artificial distinction of X-Trans = high-end, Bayer = low-end because it reinforces their marketing. Yup, don't care about AF or FPS, as a nightscape & timelapse photographer, but I DEFINITELY miss weather sealing when it is removed. However, if it makes the camera that much cheaper and lighter, I'm still happy to have a flagship sensor in a compact, affordable body. Speaking of "giving things away", Pentax had a long-standing tradition of putting weather sealing in even their most entry-level cameras. I don't know if that tradition still stands, but it was a selling point for them. Good to know; I'll keep an eye out for an....X-T30 (???) then? They've been doing that with the X-TNN series. I'd guess they're going to release the X-T30 around January-March. The cameras that don't get X-Trans usually are the casual-oriented entry-level cameras, where it makes sense to go more basic with everything. "In the past, Fuji has sometimes left the cheaper models to "make-do" with a lesser sensor that doesn't even have X-Trans tech, or not as good AF, or worse high ISO noise." 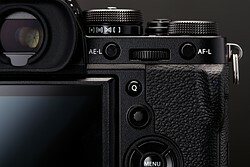 Not really...the X-E1 (as well as the X-M1) got the sensor of the Pro1, the X-T10/T-20 the sensors of the X-T1/T2 respectively. Guess, the X-T30 will get the sensor of the X-T3. Even the X-T100 has gotten the X-T2's sensor. The X70 got the sensor of the X-T1. And apart from the original X100 (which obviously was there before the X-Pro1) all subsequent X100 models got the sensor that was used in the flagship camera at the time. The only cameras I'm not sure about are the X-A1 and A2. Both got a 16.3 MP sensor but no X-Trans color filter. The "base" sensor still could be the same as the respective one used for the X-Trans models at the time - just with a Bayer filter. But of course you cannot compare the absolute entry model to the flagship. It's crazy enough that all but the X-As got the flagship model sensors. 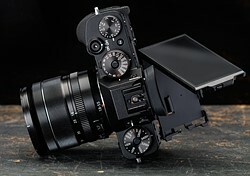 I can't imagine what a masterpiece the X-H2 will be when it comes out with Fuji XT3 hardware + IBIS. Anticipation is killing me. I am a bit skeptical about an organic sensor. Not in terms of image quality, but longevity. Organic stuff does not last long... It may be OK if you upgrade your camera frequently. Very interesting camera and nice write-up! "If you're interested in stills and video, though, it's knockout." "If you describe someone or something as a knockout, you think that they are extremely attractive or impressive." KO! - "it's a winner"
I think it means the only people who won't enjoy this camera are photographers who are not interested in stills and not interested in video either. @Abrasive i have to disagree, i think these "photographers" you meant would enjoy the XT3 as well.. it's really pretty they would use it as a fashion accessory. for those not "bewitched by full frame " me thinks a Pulitzer is due someone on staff. Indeed, the simple truth is that we have gotten to a point in sensor technology where an APS-C sensor is entirely capable of professional results, at any ISO or in any shooting condition that a full-frame camera is capable of professional results. So, the joke is on you, all you full-frame fankids, unless you're nailing every single image you take to within a 1/3-2/3 EV of "perfect". But if the XT3 guy and the FF guy both nail their shots, I guess the FF shot will be better, and there's not escape from that fact. I love both formats, by the way. Yeah, I'm not sure why you'd assume that the Fuji photographer is inherently better at metering than the FF photographer. Weird logic. My experience is that smaller sensors force you to be more sensitive to perfect exposure (whatever that happens to mean - for me, it is often underexposing to protect highlights), but it's only because your shooting envelope is smaller. It's not an advantage. @mxx, of course, but let's be honest here, both shooters /might/ "nail", and miss, an equal number of shots. So, the point is sort of moot. I simply wanted to point out that you CAN do better than a full-frame camera, on average, if you work harder to nail MORE shots than the average shooter. I'm not assuming anything, just pointing out the possibility, and I'm encouraging anyone who has a "smaller" sensor to focus on nailing their shots. Then again, you also help to prove my point by mentioning that users of smaller sensors do indeed tend to be more mindful of this stuff. It's not an "advantage", of course, to have to be more concerned about image quality. However, it turns into a superior overall final result, if you've trained yourself to do better than the "average" shooter. Nice camera (and lens lineup) but for some reason I don't see myself ever becoming 'bewitched' with spending US $1-2K(+) on lenses that cover an APS-C sensor. Particularly when considering the (soon-to-be) four(4!) 'full-frame mirrorless' mounts available and the accompanying (and predictable) wide variety of new lens choices. 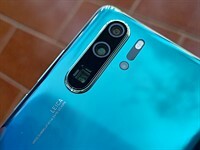 The review states that some lenses don’t take full advantage of the camera’s autofocusing ability, but does not specify which lenses work best. Which lenses best access this camera’s AF capacity? In a perfect world, we'd have time to test every lens, but that's not really practical. Generally the newer lenses (F2 primes and LM zooms are fast, with the earlier F1.4s not quite so fast to focus), but it's not been possible for us to test them all enough to feel able to publish. To expand on Richard's comment, Fuji lenses come with a string of letters behind their focal length that will include "LM" for lenses with linear motors. "The X-T3's image quality is impressive, especially at low ISO" is good, but I'd prefer sharper photos. 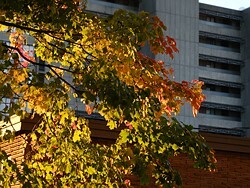 And IQ is not better than other 24 MP APS-C cameras from N, S and P. As for me, Fuji's APS-C IQ lacks for sharpness. Stronger AA filter? The joke's on you buddy. The X-T3 doesn't have an AA filter at all. All X-Trans Fujifilm DSLM doesn't have an AA Filter. I don't have a X-T3, but I just got a X-E3, I barely have to sharpen at all in PP! "The joke's on you buddy. The X-T3 doesn't have an AA filter at all." Well if the shots seems unsharp, and the camera does not have an AA filter, then the joke is of course not on the OP. I agree, the X-T3 images look soft and washed out, raw and jpeg. Compare it to the A6500, night and day difference. As far as I know, dpreview use always Adobe converters, which is known for X- Trans files to be mushier and less detailed than other converters. Iridients X- Transformer will make them as sharp as the Sonys, plus the better colors. Sample images have always been the weakest point of camera reviews in large part because a lot of the final image quality is determined by choices the authors make such as settings, post processing tool and preferences, etc. If you want the best out of a video camera there are many more, and better tools, starting with the 73-foot Chapman Telescoping crane, the 600-horsepower Hurricam camera car built on a Lamborghini, and the Triton 36000 submersible that can take your Fuji and a three-person camera crew as deep as 11,000 meters. People really underestimate the time, effort, and brains it takes to become even just mediocre with a video camera. Passable takes two or three years after that. Remember, that the X-T3 is already right now a way good APS-C DSLM with FW 1.01, and would being enhanced, further more "mature" within the next 2-3 years in terms of Firmware Support. When thinking about the Past, sometimes Fujifilm built-into a whole new AF System, or enhanced a camera otherwise way much, compared to the initial release...and there is also Kaizen, Feature Firmware Upgrade from time to time. And it's also durable. My copy has been everywhere with me, and still it is tack sharp. Yes. I have done things to that lens that no non-WR lens should ever endure, and it's still as good as the day it came out of the box. If I could choose this one or a Pentax K1. Anyway congratulations to fuji. This is a far more interesting piece comparing to the latest mirrorless ff chaos. well it is price for a high end aps-c milc. You can get a sony or canon aps-c milc for much less. 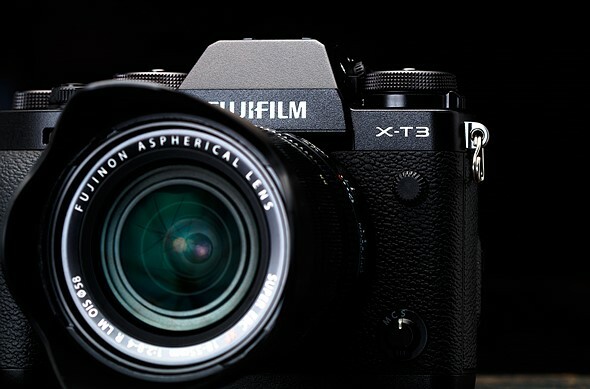 X-T3 sounds like an all-round camera with some good video capability (though lacks IBIS). Pentax K1 can be a perfect option for landscape and anything stationary or where you don't do excellent focus tracking. Choose based on what you shoot. For my shooting needs, I am inclining towards K1. I like dials very much but I prefer them customizable. My camera has a mode dial and exposure compensation dial. I would prefer if I could customize them because the first is to limited and I never use the second. A little bit like Sony's Tri-Navi but more dials. Anyway I really like how Fuji is driving competition which is very good! Great review, and a very attractive camera :) Thanks, team! 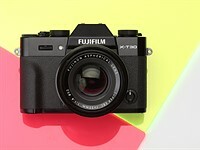 Another great Fuji camera.Liked the sample gallery especially the portraits. Three beautiful numbered dials on top is the clincher for me. Shivers all my timbers. If only the other models had the same I wouldn't have such a restricted choice. That's it, I give up. I'm switching to Fuji. 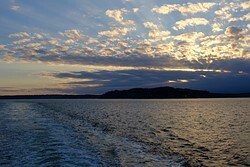 As a Canon user, I have to say this: "Fuji nailed it, period!". The X-T3 is overall the most complete APS-C camera on the market. This is the first time I have been thinking to sell my whole FF Canon gear for a combo: XT3 + GFX 50R (the latter being pre-ordered). Just wanted to say that gear aside, I really enjoyed the video with the Seattle sculptor and the Green Man. It's always great to see what you can produce WITH the gear, not what you can produce ABOUT the gear. There is still the big issue for Sony aps-c, glass! Yes, you can put those lovely FF glass on them but there is no substitute for glass designed for the system. maybe one could consider that when Sony announces they will release more for APS-C they just don't want people to switch to Fuji (I find it funny that they said this just around the X-T3's release). 1. Shame it doesnt have the option of IBIS. 2. Shame it still doesnt have a more comfortable grip. Just wait for the X-H2. This one should fit your needs. Some folks will never be happy. I mean really - this is the best APSC camera ever made. Funnily, I tried to the XH1 and found the grip almost too large... I'm hard to please. It's a shame, as I have really had my eye on a Fuji as I like the aesthetic, the size and the lenses. Counterpoint: You can always add on more grip (both Fuji and aftermarket companies make fine grips for the X-T3) but you can't always make a camera smaller. To me, a small camera that needs an add on grip to be comfortable is preferable to a big camera with a comfortable grip that I can't make smaller if I want. "What we don't - A tripod or gimbal is needed to get the best of the camera's video"
So you don't like something that the camera doesn't have? Seriously for a review? So if a dslr/mirrorless camera didn't have raw files, or continuous AF, or iso greater than 200... nothing not to like there because it doesn't have that? 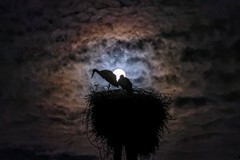 IBIS would have been nice but it's not the end of the world. 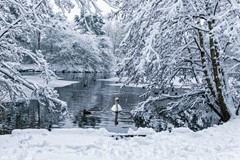 Just use one of the OIS equipped lenses or buy an X-H1 if you're feeling shaky. For more ambitious work you would use a gimbal anyway. I should pointed out that the lack of something shouldn'y be a minus points, especially in a review about the camera IMO. I'd understand if they won't recommend it to someone who needs or if they're wishing to put something that it currently doesn't have. Same goes with review about a camera that doesn't have a viewfinder...to put "the lack of viewfinder" as a minus point (just because other cameras have it) would be really silly. If the camera didn't have autofocus...would that be silly to mention as a con? If the camera didn't shoot in colour...would that be silly to mention as a con? If the camera didn't have any video mode at all...would that be silly to mention as a con? Your two examples of "lack of IBIS" and "lack of viewfinder" seem pretty significant to me, and are certainly disadvantages that people should be prominently aware of when researching a camera. Very well deserved Gold award. This is an almost perfect APS-C camera. I'll check as soon as I get to the office. Isn't that exactly the problem. You actually have to know which presets to use and most users don't? Exit10 - What makes you think they're both Preset 1 (I can't pin-down anything in the EXIF to confirm)? It's a good thing it doesn't have IBIS or I'd be trying to come up with the money to buy this body and a set of lenses. Maybe the next generation will have it—and maybe by then I'll have the spare cash! It's pretty cool that we have these choices nowadays..